So, you’ve discovered what you think is foundation damage in your home. Maybe you see cracks in your walls, maybe you notice that your floors or uneven or sloping, or perhaps you notice that your doors don’t close correctly. Maybe your first thought is that it can probably wait, you don’t have time to deal with it right now. Or maybe you’re thinking about how much money that it’s going to cost you to fix the issue. But…what is the issue? You’re not sure yet. This is the perfect time to get a home inspection for your foundation repair issue. In most cases, home inspections for homeowners are usually free! This, if nothing else, is the perfect reason to get a home inspection. In fact, it’s probably a good idea to get a free estimate from a few companies. Why is that important? Prices, techniques, and contractors are all different. You may like one contractor more than another, or you may need to stick to a budget and choose based on that. Foundation repair does not always have to be expensive. The solution might surprise you! When homeowners try do-it-yourself solutions to foundation repair problems, they often cause bigger problems. They could even be covering up the problem instead of fixing it. This often happens when cracks are filled without getting to the root of the problem. Additionally, they might not even be fixing the right problem and may not have the right equipment to get the job done. 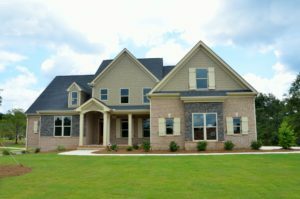 A professional home inspection by a contractor will take care of all of these issues. Not only will the contractor check out what symptoms you’re seeing, but they’ll also look around the home and look for other common signs of foundation problems. They’ll give you an idea of what the problem is, how it can be fixed, and answer any questions that you might have as well. Plus, as we mentioned, it’s usually free for homeowners. There’s no reason not to get a free estimate. Sometimes it’s important to get a home inspection for foundation repair problems because you may not realize how serious the issue is. What you see is just some cracks that have been there for years, but an expert contractor performing your home inspection may see serious stability problems with the home. These could put you and your family at risk. It’s good to have a home inspection every so often just to see if those “small” issues that you’ve been putting off are not really big problems that need addressed immediately. Don’t put your family in danger, get a home inspection when you see foundation issues in your home. If you need a home inspection, contact My Foundation Repairs. We will get you set up with an estimate, and get you on your way to a safe, stable home for you and your family. « Ceiling Cracks: Superficial or Super Worrisome?